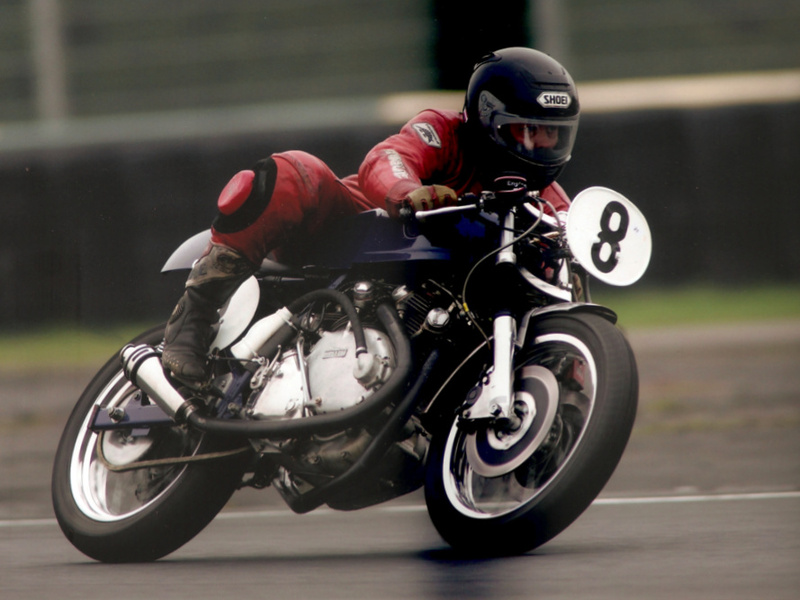 In the Part 1 (1), I was evoking Lance Capon’s career and his victories in the 1972, 1973, 1974 and 1975 Bemsee championship on his Capon-Vincent. Lance’s career ended dramatically at Brands Hatch on September 20, 1975. Anne, Lance’s widow, was as passionate as Lance by racing, so her first reaction was to repair his bike and to bring it back to the track. 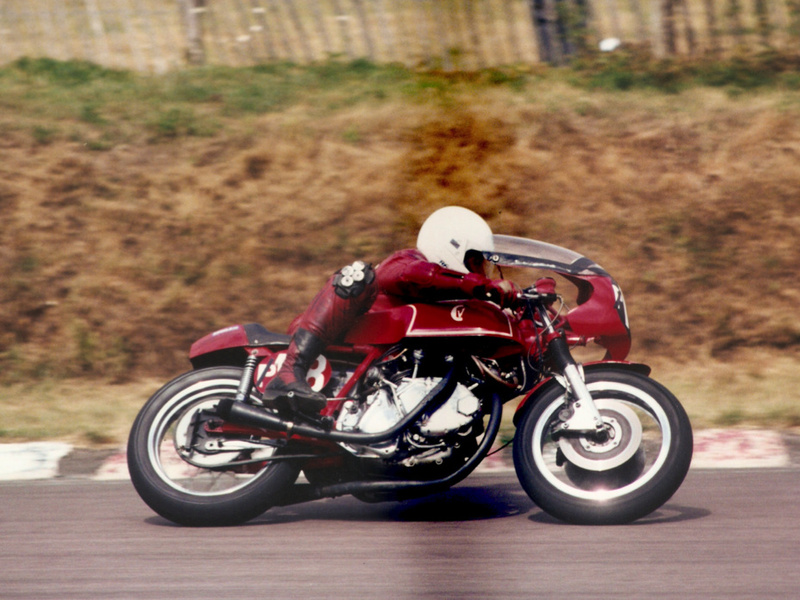 So in 1976, Mark VI made 2 or 3 outing piloted by Keith Tyler, but these events were dogged by various mechanical problems, and when a valve dropped into the cylinder, Anne decided to let Mark VI be silent for the next 13 years, tugged between the desire and the sorrow to hear it again. 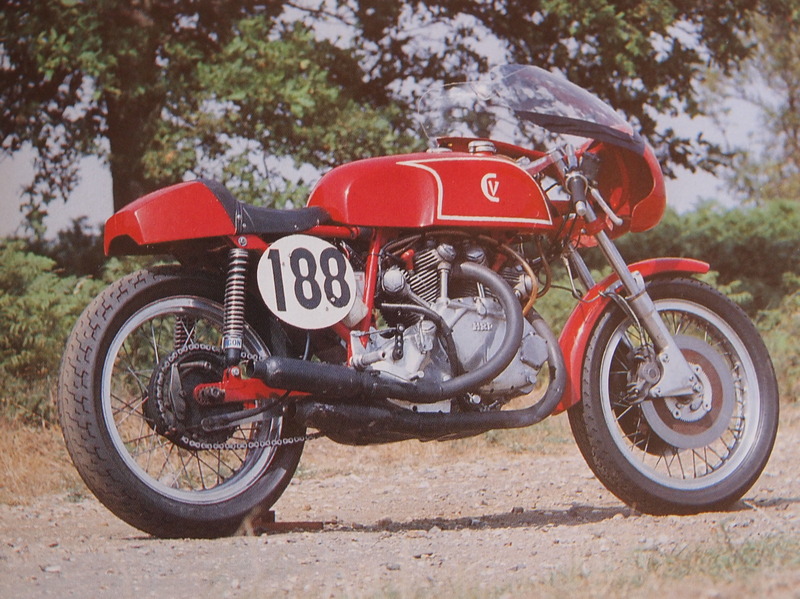 Considering the damage on the engine, Anne sent it to Tony Maughan who was commissioned to rebuild the original 1948 engine in the same 998cc stock configuration (84×90 mm) and 9:1 compression ratio; however a few upgrades were made on the engine such the Carillo con-rods and a Lucas Rita electronic ignition but the 2 front cylinder heads and 32mm concentric carbs were retained. 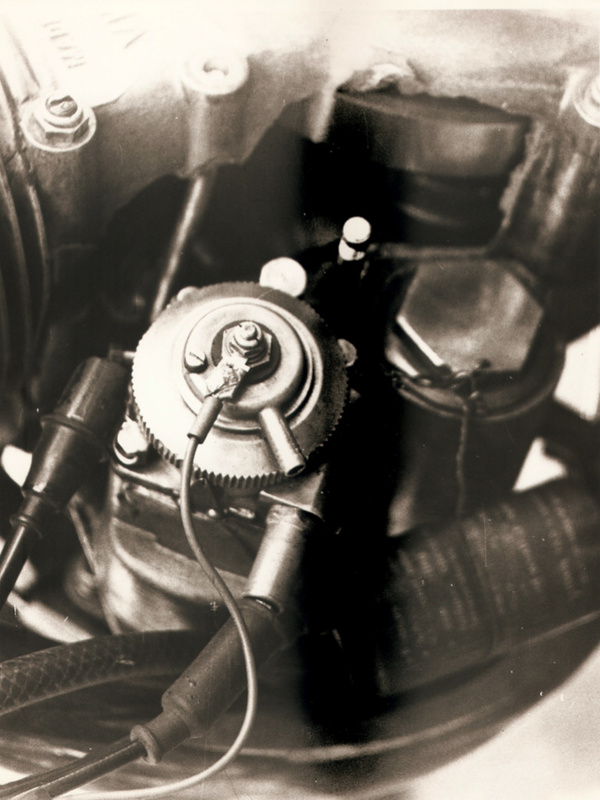 The original 4-speed gearbox was also replaced by a 5-speed Surtees. It took five years to complete the work and Anne said that it took another 5 years to be ready in her head to move ahead and to decide to complete the restoration. Anne explains that her motivation to race the bike again was not to keep Lance’s memory alive, that would always be with her, but when she met Lance, and became involved in his racing, she not only felt in love with the man but also with the bike and she needed to hear the bike on track again. So by 1986, the project was ready to move and as Anne did not intend to pilot herself, she identified a pilot that she will sponsor: Michael (Mick) Norris. As Mark VI had been involved in several big crashes and Anne was unsure if there had been deterioration to the metal particularly the braised joints, Mick Brown, who at the time was the F1 Tyrell’s chief frame maker, built an exact replica of Mark VI known as Mark VII. However before going too far in the project, Anne and Mick spent some time to verify the eligibility of the bike with the new CMRC rules. 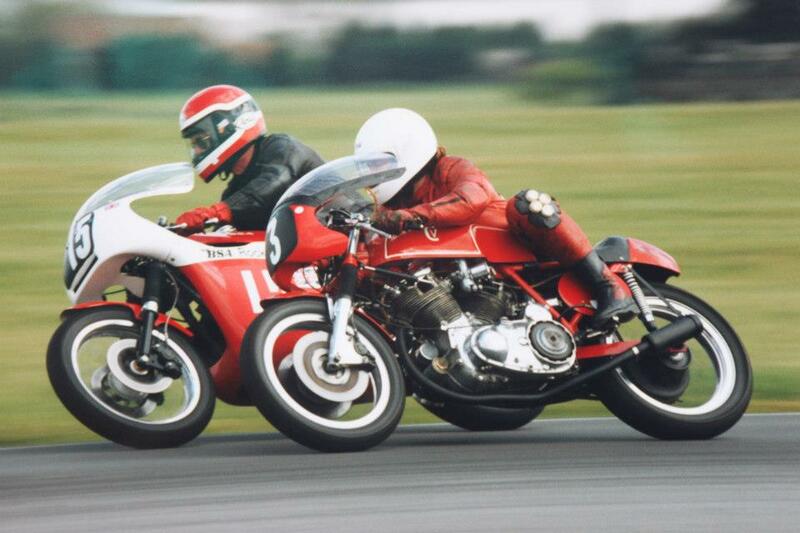 In June 1989, they applied for eligibility and manage to get a practice session at Thruxton, they were immediately banned because of the noise made by the straight pipes! Eventually Mark VII came back at Stetterton’s Race of the Year in Sep 1989. 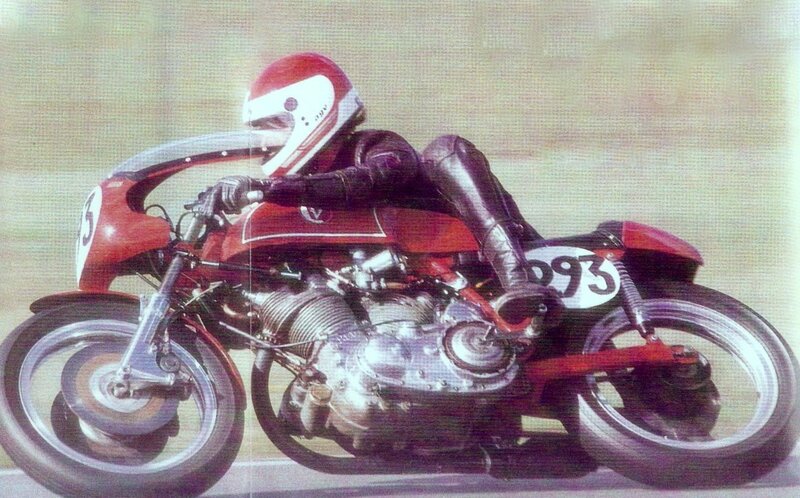 Cosmetically Mark VII is still the same, despite the modifications on the short Norton Roadholder and Norvil twin discs. 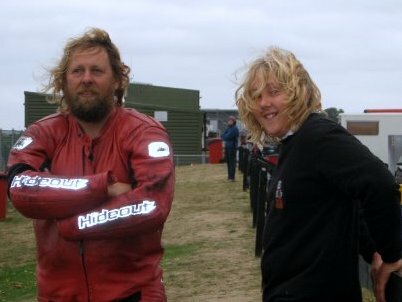 Mick rode the bike until May 1991 and subsequently, Barry Gooding was identified as the next pilot. 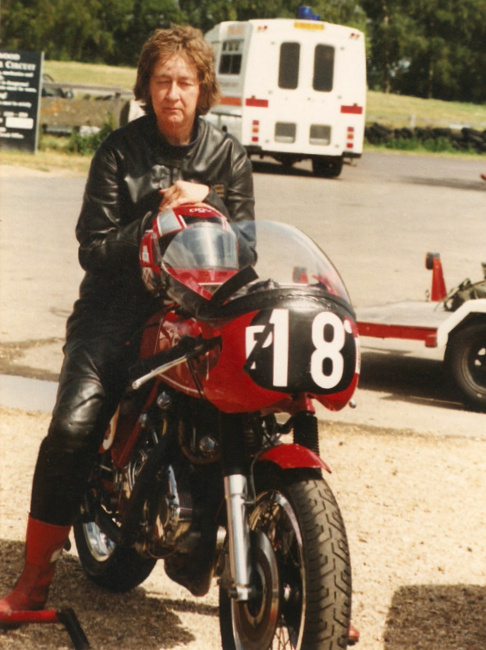 Barry rode one meeting at the end of 1991 to see if he would be comfortable with the bike. After a few modifications on the footrests, clip-on and levers, he accepted and raced it continuously until the end of 2007 running in top 5 of 501-1000cc class with the CRMC. 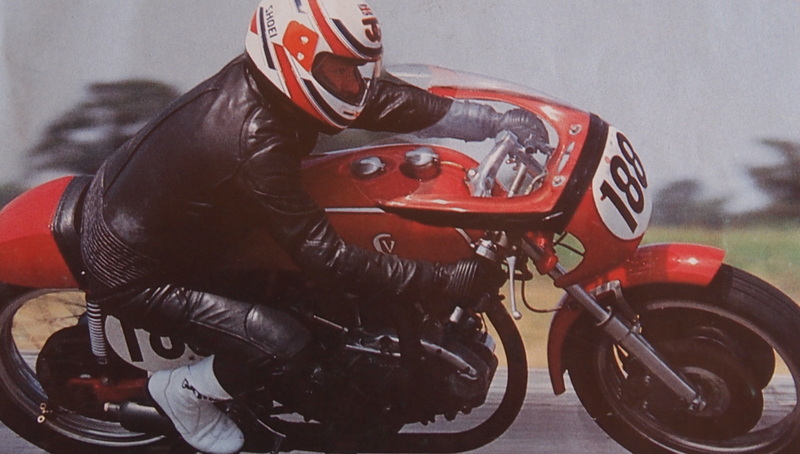 During Barry Gooding’s time as pilot, the swing arm was modified to enable a wider rear tyre to be fitted. Apart from minor work on the heads that was the only main modification made to Mark VII. Mark VII was an exact replica of Mark VI used by Lance Capon. It reused all the components including the engine but a new frame was built. 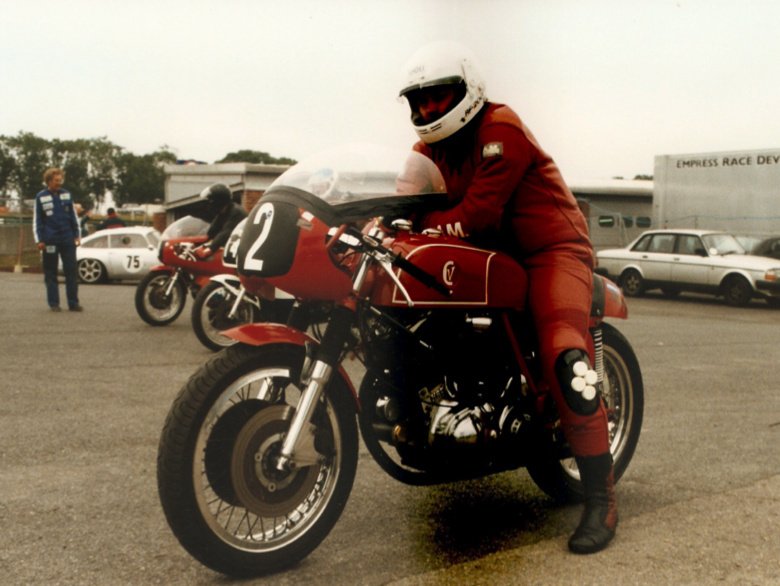 The journalist John Ruth on Mark VII when he wrote his article for Classic Racer. 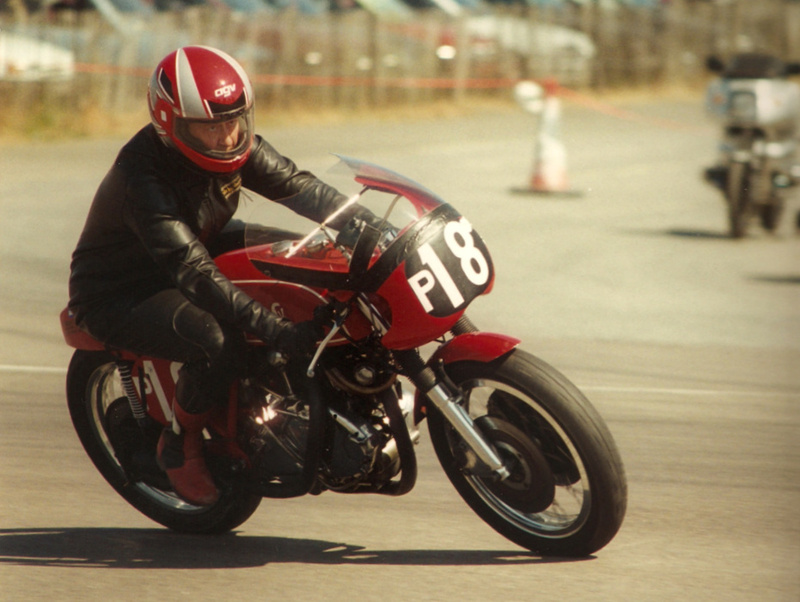 Barry Gooding has raced the Capon-Vincent Mark VII (the Red) and subsequently Mark VIII (the Blue) between 1991 and 2009. A picture that we would not like to see, but it happens in racing. Many thanks to Anne Callagher who was an incredible resource for me to understand the story of these 8 Capon-Vincent. I was also impressed by her knowledge about racing motorcycles and Classic Motorcycles in general. She rides her own bikes since age 21 and regularly rode Lance’s Vincent at demonstration meeting. Next “Super Freni” as they say in Italy! I think I may have the mk3 rolling chassis, bought it of a gent in Leytonstone in ’85. 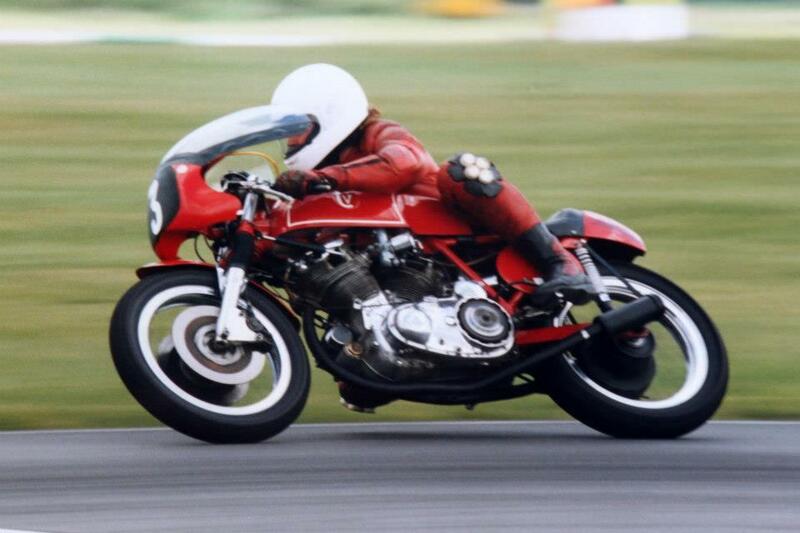 Lance, brilliant rider , saw him at brands hatch when I was young. I’m looking for the email address of Mick Norris, aka Nozzer, late of 75 Club Bookham.